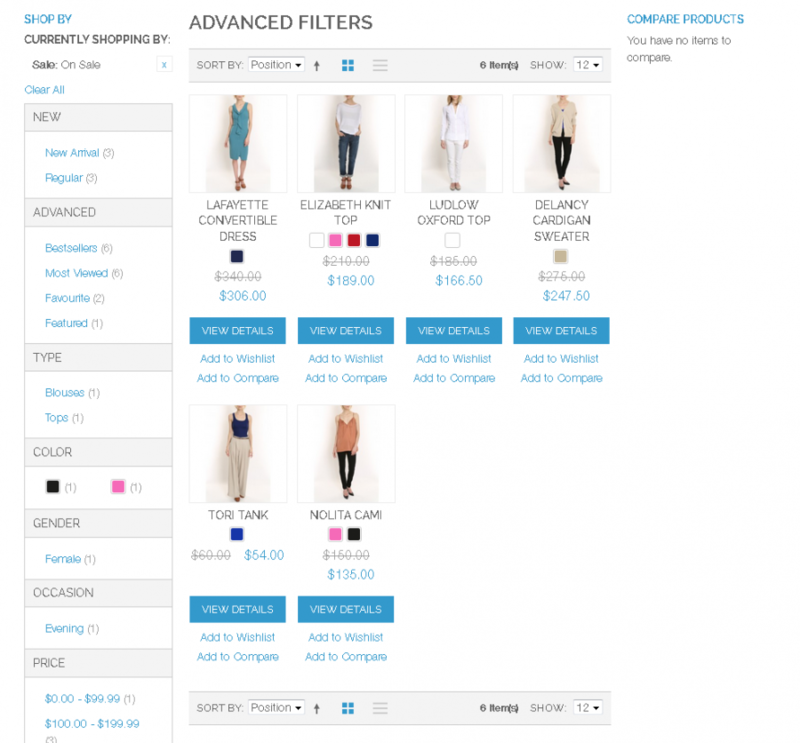 The Layer Navigation Advanced Filters (Products Advanced Filters) extension enhance the Magento default Layer Navigation by adding additional filters to it. 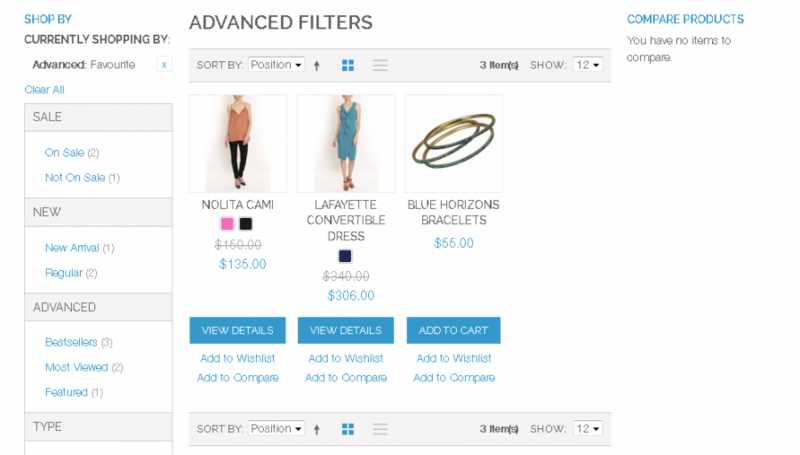 Sale Filters: with “On Sale” and “Not On Sale” filters allow your customers to find out which products are currently on sale in each category and search result. 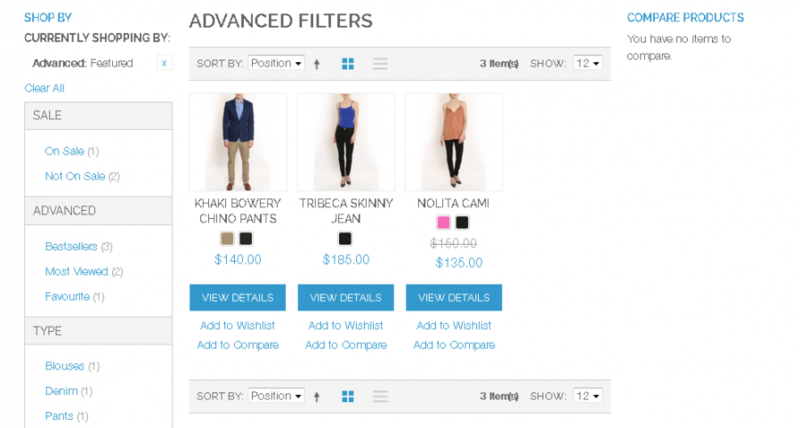 New Filters: with “New Arrival” and “Regular” filter allow your customers to find out which products are new in each category and search result. 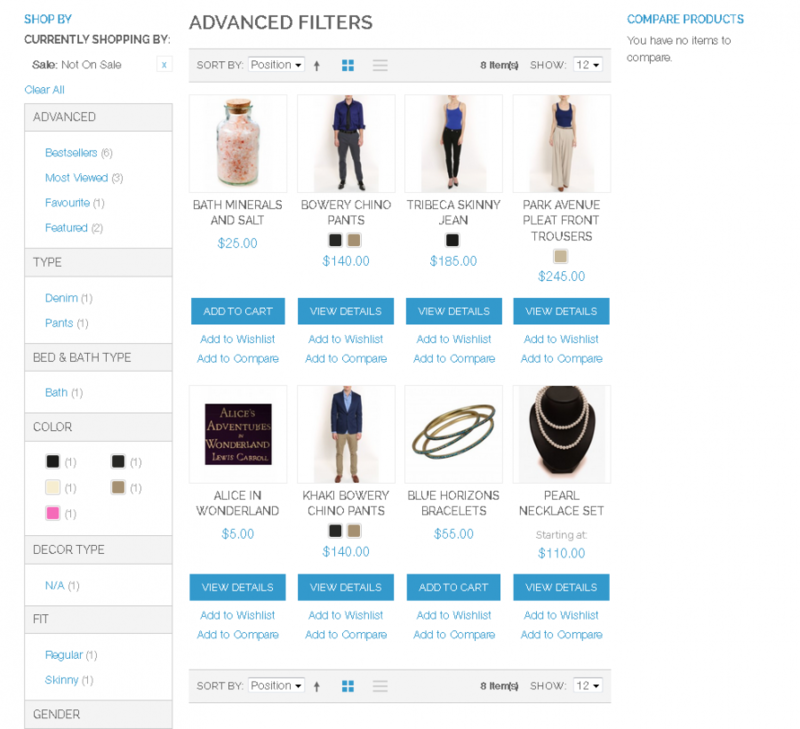 Bestsellers filter: Let your customer know the current trend of your site and which products are hottest. 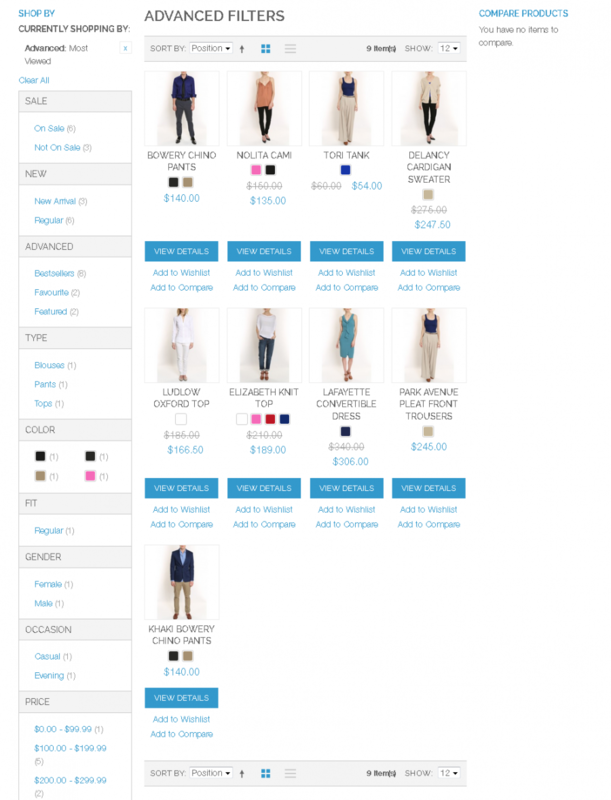 This will increase your sales volume. 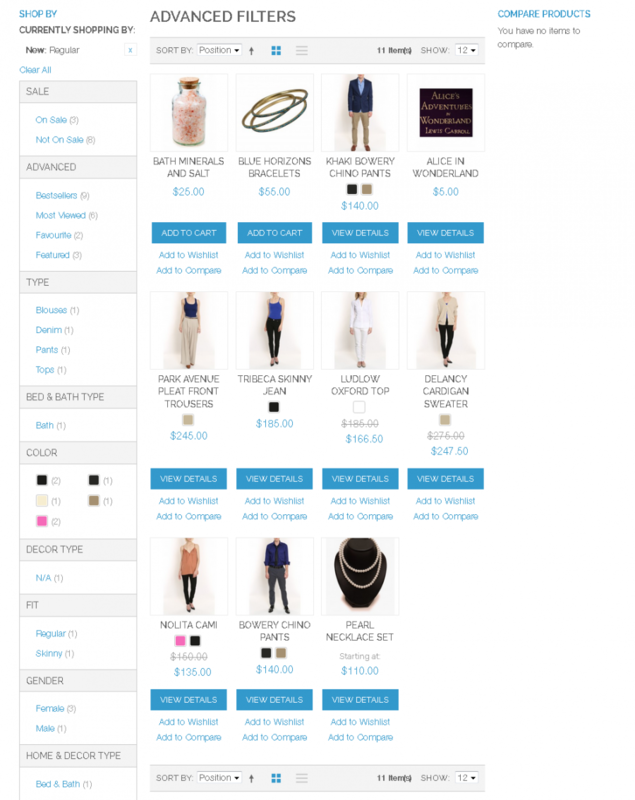 You can configure how long from current the products are sold to consider as bestsellers and the number of quantity has been sold. 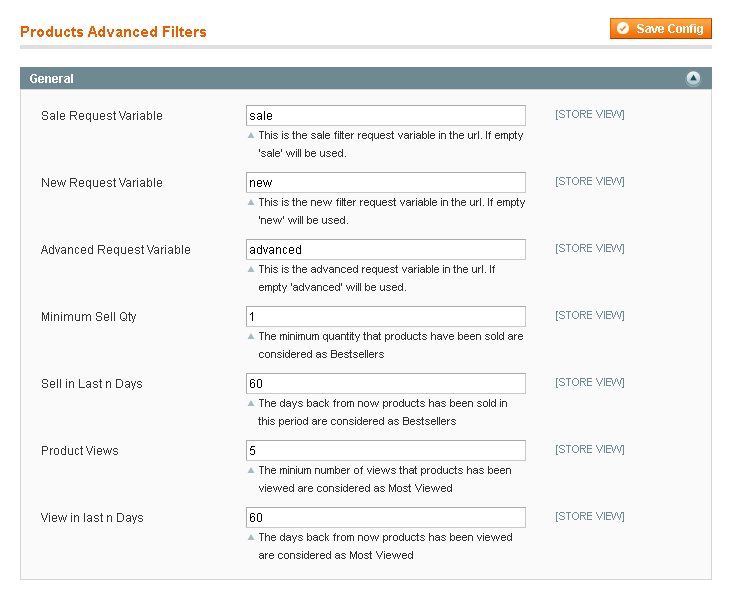 Most Viewed filter: Let your customer know which products are viewed most. You can configure the number of views and the day it was viewed to consider as most viewed. 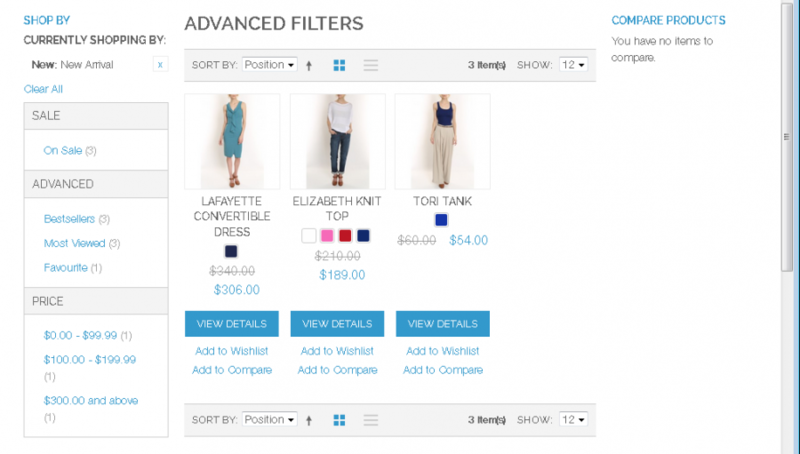 Favorite filter: Let your customer know which products are in other customer wishlist. 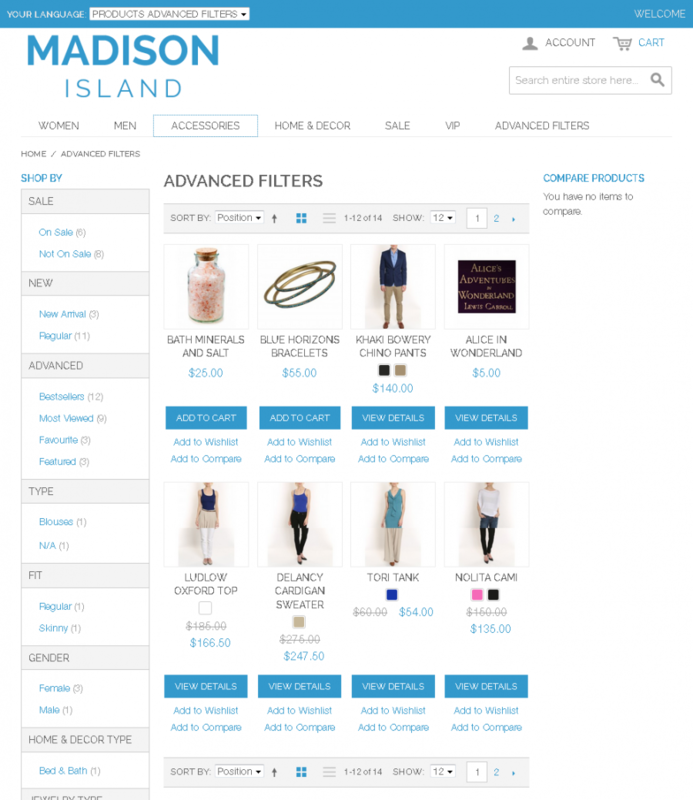 Featured filter: Let your customer know which product are your site featured products. 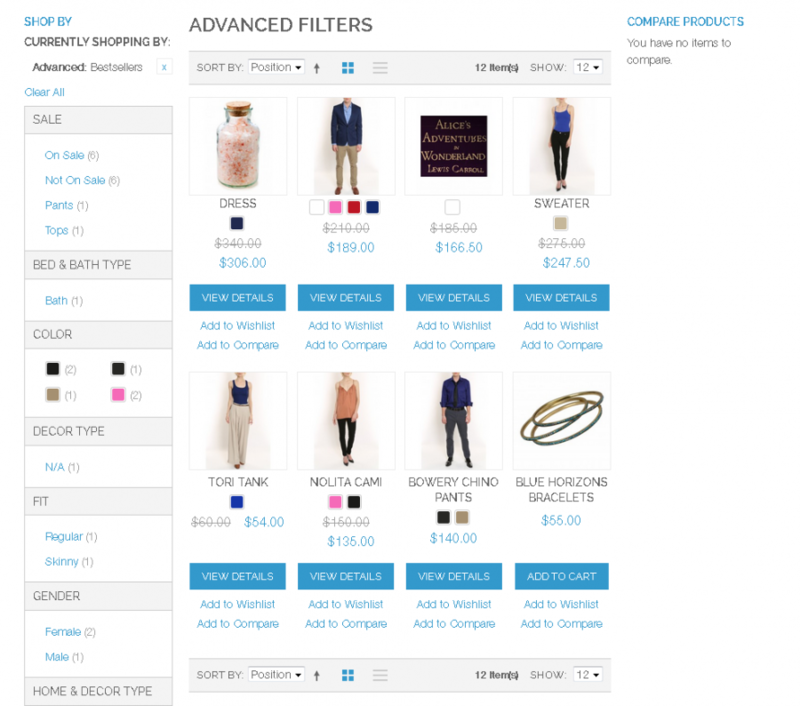 This filter requires All4coding Featured Products extension is installed, so you set the featured products in your backend.